The Groton Long Point Association administrative offices are located at 44 Beach Road, Groton, CT 06340; phone: 860-536-4736. 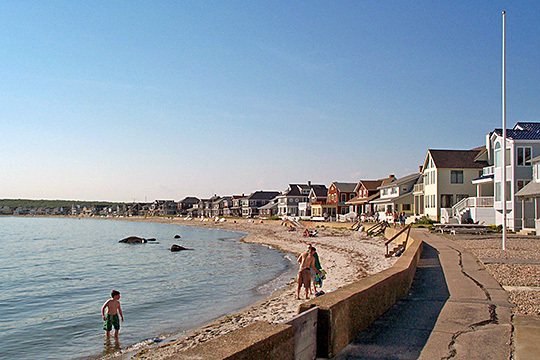 Photo: Main Beach, Groton Long Point, CT. Photographed by User:Doorframe (own work), 2005, [cc-by-3.0 (creativecommons.org/licenses/by/3.0)], via Wikimedia Commons, accessed February, 2013. Groton Long Point, en.wikipedia.org, accessed November, 2010.